Digital Media Agency Based in Mumbai. We are everything you would expect from a smaller agency – accountable, autonomous, flexible and personable. Yet we deliver scale and reach for our global brands using smart and efficient approaches. Delivering and performing at just one instance or intervals is not our way of working we believe for a brand to survive and grow a consistent need a constant quality flow of content and deliverables. Consistence in performance and delivery will always be our priority. We’ve not always been a global agency. We started small and through a planned growth strategy, grew our business. We know first-hand this isn’t easy and takes a calculated strategy. We understand how to achieve business goals, whatever they may be! We at A&B Digital believe relationships to be of the paramount nature. We are here to build relations not just partnering with our clients in the short but we are here for the long haul, you can contact us 24x7 and we to pledge provide you with the best customer service possible! We grow with you! 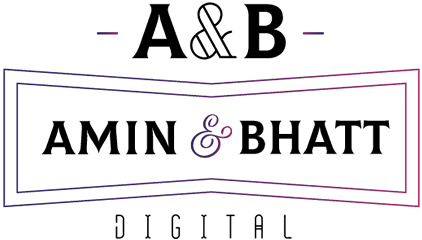 At A&B Digital we constantly keep learning new techniques whether on the technological front or on the marketing front, we believe in a culture where learning and evolving is always a priority. We try to include all our learning to our work which helps us to achieve the best results for our clients in the most efficient way. We focus on some and deliver the best to them, For us its been quality over quantity. Most of our competitors takeover a lot of clients and then are not able to deliver quality content to them. We focus on our clients and that’s what sets us apart. If you want your business to be valued and you have an eye out for an agency that delivers on its word then look no more, Contact Us now. Lets set up a meeting! We always look forward to listening to new ideas and business opportunities, We are here to help you with all your digital needs may it be extensive or comparatively comprehensive!